The ethnically targeted human destruction in South Kordofan in Sudan, directed overwhelmingly at the African peoples of the Nuba Mountains, continues to spread and intensify. Many are warning of a “new Darfur,” a reprise of the destruction of the African tribal groups in western Sudan by Khartoum’s forces from 2003 to the present. The number of people displaced is likely in the hundreds of thousands and growing, and the U.N. reports that “the “security situation continues to deteriorate.” Nearly all World Food Program workers have been evacuated. Many Nuba are now living in caves, without adequate food, water, or medical care. THE CIVIL ADMINISTRATION in the part of the Nuba Mountains most heavily attacked has collated figures from all of South Kordofan’s 19 states and said that approximately 425,000 people have been displaced by the conflict. (This number has yet to be confirmed.) Meanwhile, relief access to the region continues to wither, and Khartoum refuses to grant airspace to U.N. relief agencies. The regime has even gone so far as threaten to shoot down U.N. aircraft refusing to abide by the flight ban. Sudan’s forces detained four United Nations peacekeepers and subjected them to “a mock firing squad,” the organization said Monday [June 20, 2011], calling the intimidation part of a strategy to make it nearly impossible for aid agencies and monitors to work in the region. It seems, again, to be a repeat of the 1990s, when Khartoum shut off humanitarian aid to the Nuba region. Indeed, despite the regime’s massive military buildup in the regional capital of Kadugli—including hundreds of heavy military vehicles—it doesn’t appear to have the stomach for confronting the Nuba Sudan People’s Liberation Army (SPLA) in the rocky terrain. 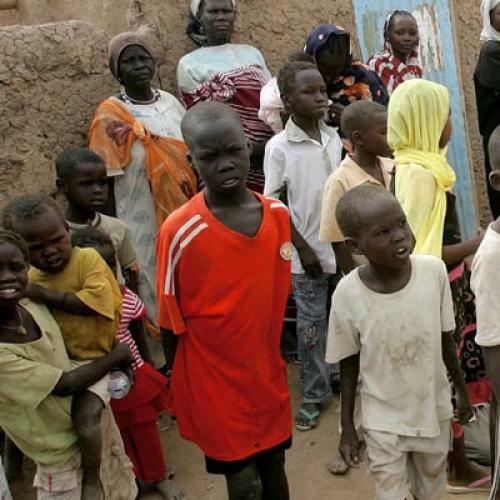 It’s much easier—and devastating to the Nuba people—to cut off aid. Worse still, Khartoum’s heavy hand might soon extend beyond South Kordofan and Abyei. President Omar Al Bashir recently warned South Sudan, which is set to secede in July, following a self-determination referendum earlier this year, that it may be next: “If they [the Southern leadership] want war ... we will show them, practically like what happened in Abyei and South Kordofan.” Repeated bombings and shellings of targets inside the south’s borders suggest that this threat must be taken seriously. How then to explain Lyman’s skepticism? Is it an expedient effort to keep Khartoum at the bargaining table by refusing to name the crimes that the regime has committed? If so, this augurs poorly for any robust U.S. or international action to halt what all extant evidence suggests is genocide. For Khartoum, which has killed its own people for decades more or less unchecked by the U.S. and the rest of the world, is all too expert in discerning the implications of what we will and won’t say publicly. The international community should be threatening to destroy the regime’s aircraft targeting civilians in South Kordofan until it stops its campaign against the Nuba. But it’s not, choosing to dither instead. As such, the regime in Khartoum sees only a blinking green light.